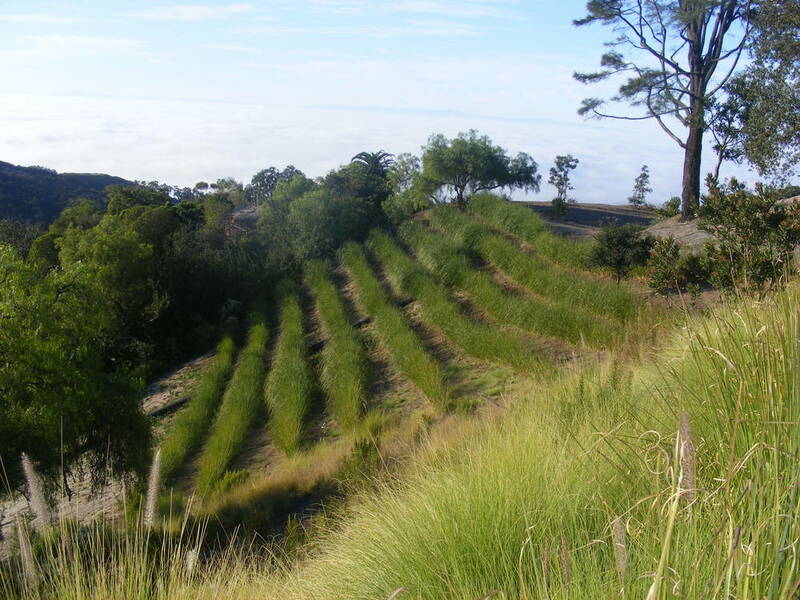 Drylands Farming Company presents a thoughtful ecological and sustainable approach to California farming addressing site specific issues which include water availability and cost, soils, microclimates, erosion, slope stability and the threat of wildfire. The latest California drought reminds us that we cannot take water for granted and that our uses of water must be carefully considered. Drylands Farming Company provides growers with water conserving crop options and water conserving experience and expertise. Drylands Farming Company provides crop plants and consulting services to landowners who are looking for productive, water conserving food crops for their land. The two primary crop plants we grow in our nursery are Opuntias, also known as Prickly Pear cactus or Tuna cactus, and Agaves. Both Agaves and prickly pears are amazingly rugged and productive plants which thrive here in our climate and soils with very little if any supplemental irrigation in normal rainfall years. Both Agaves and Opuntias provide added benefits and advantages to the land. These two crops are appropriate plantings in areas of potential wildfire, the Agaves being low fuel and the Opuntias provide no fuel. Both are appropriate plantings on slopes and hillsides the Agaves being especially noteworthy for erosion control. There are other crops that we promote in our drylands agricultural approach, some of which we grow and others which we procure from other growers. These crops include Olives, White Sapotes and Wine grapes among others. We grow and recommend Vetiver Grass as an erosion control and slope stabilizing planting where crops exist or are being planted on moderately or strongly sloping land where erosion is a problem. Vetiver grass is effective for water conservation and to mitigate runoff. Our mission is to provide landowners with cutting edge crops and consulting expertise that will help them achieve a sustainable agricultural operation, one that includes plants that are well adapted to their soils and microclimate and that require little or no supplemental irrigation once established. The Agaves we offer are well adapted to a wide range of California conditions. Many of these have been grown in California for a hundred years or more. They have been grown as ornamentals and their commercial or economic value has been largely ignored. Modern day horticulturists decry the rampant vigor of these Agave species because they overwhelm the residential garden with their size and fecundity. This amazing vigor and vitality is exactly what the sustainable farmer of today needs to cost effectively produce a viable crop on challenging land with limited water. Context is everything. Tuna cactus or Prickly Pear cactus from the genus Opuntia (O. ficus-indica) is a species of cactus that has long been a domesticated crop plant important in agricultural economies throughout arid and semiarid parts of the world. It is perfectly adapted to many California microclimates and presents itself as a valuable and manageable crop for this state. 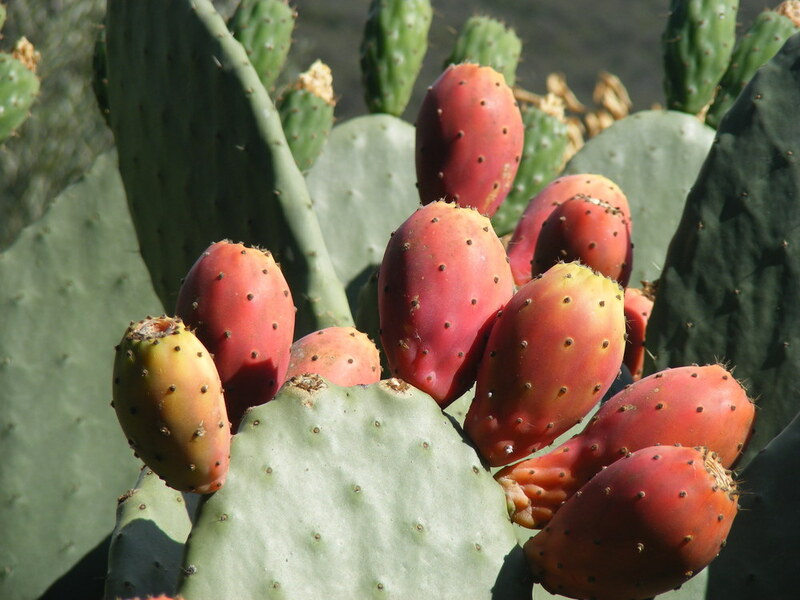 Our focus at Drylands Farming Company is the juicy, highly colored fruit the plants produce although others might be equally keen on the young, immature new pads called Nopales. Both the fruit and the pads are delicious, nutritious and medicinal (healing) food. Vetiver grass is an amazing resource for farmers growing crops on slopes because of its unique characteristics, which make cost effective erosion control and slope stability possible. Vetiver grass is a perennial clumping grass with deep penetrating roots that hold soil below ground and strong dense stems above ground that capture sediment and keep soil on site. In agricultural applications Vetiver planted in hedgerows provides added benefits of moisture conservation, improved nutrient status, better plant growth and higher yields. Vetiver grass is also very drought tolerant requiring little or no irrigation once established.